The economic downturn that began in 2008 spelled the end of production of the Liberty XL–2, a certified IFR trainer with advanced features and low operating cost among its selling points. A resurgent economy and expected demand for thousands of new piston training aircraft worldwide has prompted Discovery Aviation, which purchased the XL–2 design in 2014, to resume production, starting with three aircraft headed to South Korea. Discovery Aviation has sold three XL-2 IFR-certified trainers to a customer in South Korea, the first new XL-2s to be sold since 2011. Photo courtesy of Discovery Aviation. Discovery Aviation Vice President of Business Operations C.J. 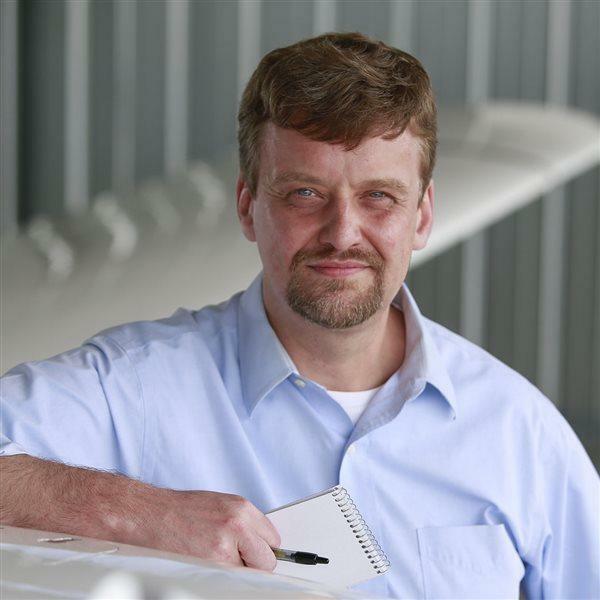 Corman said the Melbourne, Florida, firm has supported the 135 XL–2s produced through 2011, the last time a new one was delivered, and more recently decided to update the avionics options and reintroduce the XL–2 to customers old and new. Upgrades include many new, and optional, panel enhancements: Garmin G500 avionics, a Mid Continent Standby Attitude Module, a Garmin GDL 88 Automatic Dependent Surveillance-Broadcast (ADS-B) transceiver, a BendixKing KN-62A DME, Honeywell KR-87 ADF, and STEC 30 autopilot. Standard features include basic IFR equipment, an advanced composite airframe that incorporates large access panels and wings that can be removed and attached in minutes by an A&P mechanic, a Continental IOF-240 powerplant with full authority digital engine control (FADEC) that can push the XL–2 along at 125 knots, a 500-mile maximum range, and fuel burn quoted in various contexts in company documents from 4.5 to 5.5 gallons per hour. The XL–2 is priced at $319,000 for the IFR standard model, and $349,000 for the advanced version, which incorporates Garmin G500 avionics. The three recent purchases by the South Korean flight school came to $361,820 each, including additional options such as an air-oil separator and DME, Corman said. “I think we fit into a great price that is affordable for the individual operator as well as flight schools,” Corman said. The relaunch of the XL–2 is not the only aircraft Discovery Aviation plans to produce. Corman said the Discovery 201, a twin-engine utility aircraft on which the company had nearly completed testing in 2014 when it purchased the XL–2 design, remains a work in progress, and is not expected to reach the market until late 2018 or early 2019. “We think it fits a really unique and interesting sector,” Corman said of the utility twin. As for the XL–2, the company has only just begun to market the updated version.